As you are finishing your occupational therapy degree, CAOT would like to help make your transition from classroom to workplace as smooth as possible. We have a new resource with all the information you need to start your career as an occupational therapist. 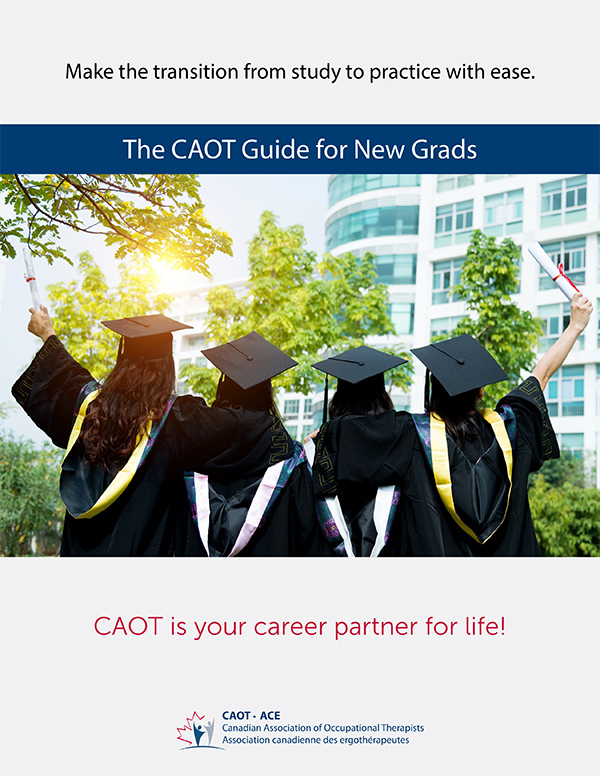 The CAOT Guide for New Grads breaks the process down into 4 easy steps and gives you lots of useful tips and links.